Charlie led the people operations of technology and media companies for 15+ years before founding Gray Scalable in 2012. He was instrumental in managing the growth of the Google advertising sales team and helped to develop the company's People Operations framework. He provided HR and operations leadership at other start-ups including RecycleBank and Patch, and has now consulted at dozens of industry-leading companies. He holds two degrees from the State University of New York at Buffalo, in Music Performance and English Literature. He lives in Verona, NJ with his wife and their 2 kids, 2 dogs and 2 cats. As Gray Scalable's Principal Consultant and Co-Founder, Deb leads client engagements and manages internal operations for our team. She leads our business recruiting practice, helping our clients hire in sales, marketing, operations, HR, and recruiting. Along the way, Deb plays an internal People Operations role while on embedded, onsite engagements at clients, helping to build/optimize scalable people programs. Deb brings 15+ years of in-house HR and Talent Acquisition experience, having held leadership roles at startups and large organizations, including Google, Unilever, and Recyclebank. Deb loves to sing, run, and cook, and lives with her husband and 3 sons in New Jersey. As the Head of Client Partnerships and Growth, Brett is focused on pursuing strategic partnerships and cultivating relationships within the NYC & LA tech market Prior to joining Gray Scalable, he spent 10+ years leading sales teams at various adTech startups in the Greater New York Area. Having also worked within seminal companies such as Yahoo, Microsoft and AOL, as well as within startups, Brett understands the requirements different business models place on their people, partners, and customers. Brett met Charlie and Deb in 2010, during the first Gray Scalable engagement where they helped scale the Dstillery sales team. He holds a BA from the University of Arizona and enjoys spending his free time traveling, reading the NY Times, and listening to Leonard Cohen. Irene manages Gray Scalable’s company blog, social media accounts, website and community networks, keeping the company’s followers informed about relevant products, insights about people operations and news about growth stage tech companies. She facilitates the advertising, public relations and marketing communications efforts, and also plans community events. Irene graduated from the University of Kansas, School of Journalism with a BS in Strategic Communications. She currently resides in Manhattan and loves spending her time exploring with her puppy, Samuel Adams. Darla is our Lead Consultant on the West Coast! She is a veteran Talent Acquisition professional with 14+ years of experience helping high growth tech companies scale. She brings extensive experience building sourcing pipelines, hiring, developing process and internal tools and shaping employer brand strategy across Engineering, Product and Executive Search. She has a BA double major in Anthropology and Journalism from SUNY Purchase, is a traveler, actor, iced coffee addict and mother of 1 human child as well as 2 dogs and 2 cats. Eric started his career in university management at USC in Los Angeles. He served as Literacy Director of USC’s largest community outreach organization. Eric joins Gray Scalable after working in the competitive world of university recruiting. Eric holds a master’s degree in University Administration from USC, as well as a bachelor’s degree in Environmental Science and Communications from Franklin and Marshall College. Eric currently resides in West Hollywood, CA where, in his free time, he plays tennis and studies at The Groundlings School of Comedy. Aja has spent her career developing human resource practices for start-ups. She has held leadership roles in HR for Razorfish, Patch and Rent the Runway. At Gray Scalable, she specializes in creating and delivering customized training programs - including management training, interviewing skills, coaching, and building high-performing teams – and in building HR functions, from strategy to program and policy development, including hands-on execution and team building. As an HR consultant Lucia helps companies build, hone, and scale their HR practices. 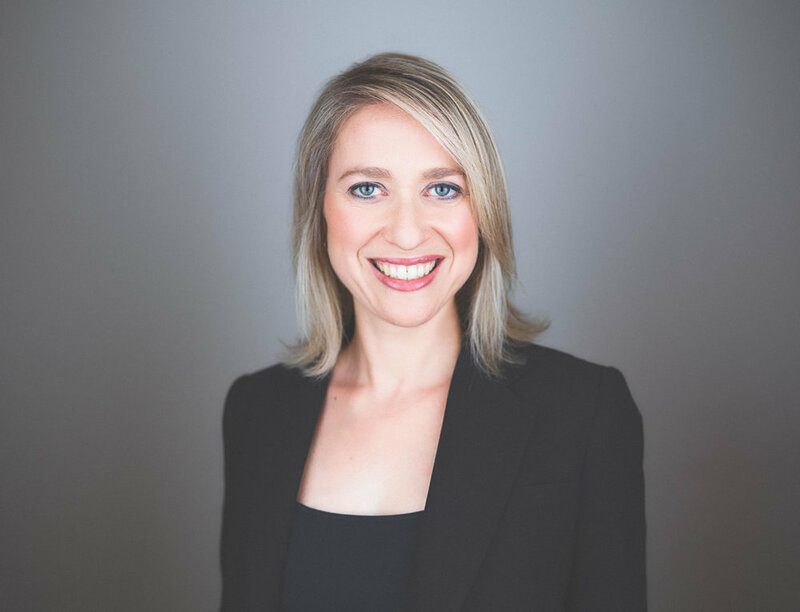 Prior to joining Gray Scalable she held HR and recruiting leadership roles at Paperless Post and LimeWire, growing their teams and building and formalizing their HR functions from the ground up. Lucia takes an inclusion-first approach to her work and specializes in lean HR functions, manager support and training, scaling culture, and internal company communication. In a past life she also worked in the nonprofit world and remains passionate about early childhood literacy and creating a more just world. Lucia holds a BA from Princeton University and lives in Brooklyn, where she can usually be found baking an unreasonable number of cookies. Megan specializes in providing HR support and program creation, as well as building customized training programs and branded communication materials for clients. Prior to Gray Scalable, Megan built out Learning & Development and HR Operations while serving as HR Business Partner for several functions at XO Group Inc. and worked on the Talent Acquisition team at NBCUniversal. Megan holds an MS in HR Management & Development from NYU and a BA in English from Villanova University (2016 National Champs!). She's a proud (& slightly obsessed) aunt, is a sucker fitness fads, and is easily bribed with burritos or pizza. As a people operations analyst, Patty supports our clients with a focus on compensation and diversity analysis, and works with our internal teams to provide insight into our recruiting operations. Before joining Gray Scalable, Patty Worked for a social enterprise company in Yangon, Myanmar in Southeast Asia building their People Data Analytics team. Patty holds a Bachelor of Commerce from Dalhousie University in Halifax Canada. She loves spending time outdoors, whether it’s relaxing at the beach or hiking in the mountains. She recently moved to Hoboken and is enjoying exploring her new neighborhood. As the people analytics manager, Sam focuses on helping clients make better HR decisions using data, primarily focusing on compensation design, recruiting reporting, and survey analysis. Prior to Gray Scalable, she was on the people analytics team at AOL, and before that spent time as an HR program manager and campus recruiter. Sam holds an MS in Analytics from NYU Stern and a BA in Psychology from Colgate University. She loves dogs, crossword puzzles, bourbon, and anything produced by Ken Burns. Amy has spent her career building best-in-class engineering and corporate teams for high tech organizations. During her years at Google, her specialty was launching new offices across N. America and EMEA for engineering, research, new grad and sales teams. Since Google, Amy has led international and global recruiting teams at Merck, Groupon and Blue Apron. At Gray Scalable, Amy is a Recruiting Strategist, helping organizations scale through embedded consulting, and implementing long-lasting recruiting programs and platforms. After living and working in Switzerland for 6 years, Amy recently relocated back to the NYC area. She’s addicted to travel, has a bag packed at all times, and loves to downhill ski race. As a Technical Recruiting Consultant, Brigid supports tech recruitment for our clients, growing their engineering and tech teams, and building recruitment processes. Prior to joining Gray Scalable, Brigid began her recruiting career at Urban Outfitters HQ in Philadelphia, recruiting everything from fabric developers to Directors of Supply Chain. Her love for the city of Philly and the Philadelphia Flyers brought her to SeatGeek where she saw they had an opening, and before long, she was moving to NYC to continue tech recruiting there. After two and a half years building the team at SeatGeek, everything from software engineers to data scientists, Brigid’s passion for Pizza brought her to Slice, where she spent time building the tech recruiting function there. Brigid studied Classics at Temple University and currently lives in the UES with her husband of one whole year. Drew has spent his career in recruiting and people operations leadership building top talent acquisition and technology teams at high growth technology companies and startups. Before starting at Gray Scalable, Drew co-founded HR Tech / A.I. startup Upsider. He also spent time as the Director of Talent Acquisition at XO Group, Inc, leading the talent transformation to support an aggressive transition from media company to a transactional marketplace. Drew was named by LinkedIn as one of the 100 most innovative recruiting leaders in 2014 and holds a Bachelors of Arts from Suffolk University. When Drew isn’t busy building awesome teams, cultures, and companies or spending time with his wife and chasing his three kids around, he is probably playing, watching or dreaming about soccer. At Gray Scalable, Abby focuses on researching and sourcing engineering talent to help scale fast-growing tech companies. Hailing from Minnesota, she made the move to NYC in 2014, where she began her career as an amateur hand model. After spending some time at Shoplet working on affiliate marketing, Abby made the move into the tech industry. Having always been interested in the startup scene, she found a blend of her love for both sports and tech at SeatGeek, where she was hired as the first recruiting coordinator. Abby quickly climbed the ranks and helped scale the team for three years. Abby’s love of skiing brought her to Colorado College where she studied Political Science. Colorado will always hold a special place in her heart, but for the meantime, she loves spending time going to concerts in the city! As a Tech Recruiting Associate, Elise focuses on researching and sourcing engineering talent to help scale fast-growing tech companies. 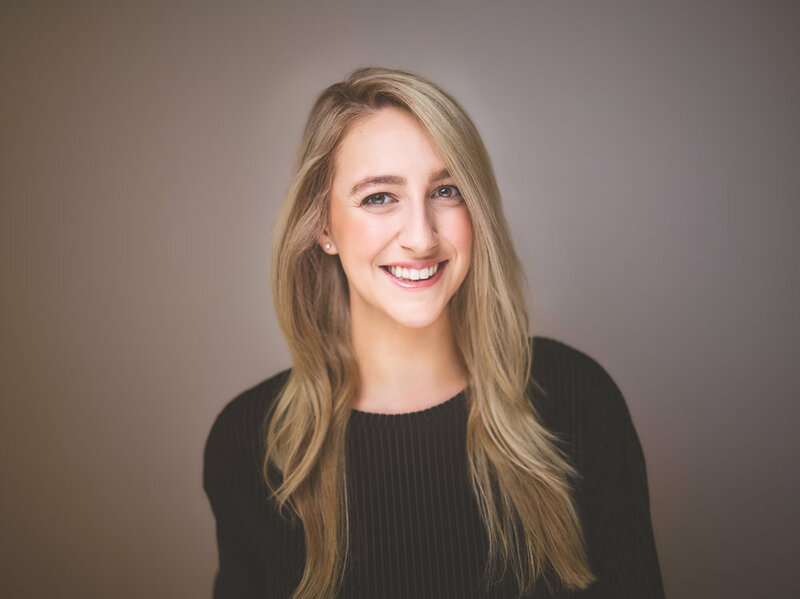 Prior to joining the Gray Scalable team, Elise helped build out the Operations, Account Management, Marketing, and Engineering teams at ClassPass during a period of rapid growth, when the company grew from 70 to 170 employees in a year. Elise studied Piano Performance at Penn State University. She lives in Brooklyn, and loves live music, cats, and trying new food. Lauren has spent her career building engineering, product, sales, and operations teams for startups in New York and Los Angeles. Lauren started her career as a contingency recruiter before working as an internal recruiter for Offerpop, OnDeck, and Dailymotion. At Gray Scalable, she specializes in hiring engineers and implementing recruiting processes for top tech firms in the city. Lauren studies Human Resource Management at Pace University. She is originally from Connecticut but currently resides in Brooklyn. She loves art, live music, trying new restaurants, and spending time with family and friends. As an Associate Technical Recruiter, Nadine focuses on tech sourcing and recruitment for our awesome clients! She began her recruiting career at Namely, as a HR/Talent Acquisition Coordinator, that’s where she remembers really falling in love with startups and tech. After Namely, Nadine worked as a Technical Recruiting Coordinator at Jet, where she supported tech recruiting for Jet/Walmart commerce and recruited for tech roles on a project basis. Nadine was born and raised right in NJ! She grew up with an older sister and always with dogs! She decided to pursue Human Resources in college and received a BA in Human Resource Management from Rutgers University. Nadine enjoys traveling with her husband, and is always looking for their next destination. As a talent acquisition specialist, De'Nard focuses on attracting and sourcing top talent to help scale fast-growing tech companies thru strategic research and continuous engagement. Prior to joining Gray Scalable, De'Nard began his career as a full-lifecycle recruiter at TEKsystems. He then moved on to iHeartMedia, joining their talent acquisition team in NYC to source, attract, onboard and retain talent for various cutting edge internal initiatives. After spending his childhood years in NC, SC and Texas, he and his family settled in a small, Ohio town where he spent his high school years. De'Nard dual majored in Applied Accounting and Finance at Fordham University, where he played varsity football all four years. He currently resides in Brooklyn with two friends and in his free time he loves to produce music, go to concerts and spend time with his lovely girlfriend (who didn't make him say this). Bec has spent her career building engineering, product, and sales teams for startups in New York. Bec started her career as a contingency recruiter before joining XO Group Inc. where she built out their engineering team and implemented recruiting process and operations. At Gray Scalable, she specializes in sourcing and hiring engineers and implementing recruiting process for top tech firms in the city. Bec is also responsible for managing Gray Scalable’s internal sourcing team. Bec studied anthropology at the University of Melbourne in Australia. She currently resides in Brooklyn with her boyfriend, dog, and a small urban farm in the backyard. She loves to travel and never leaves home without her passport. 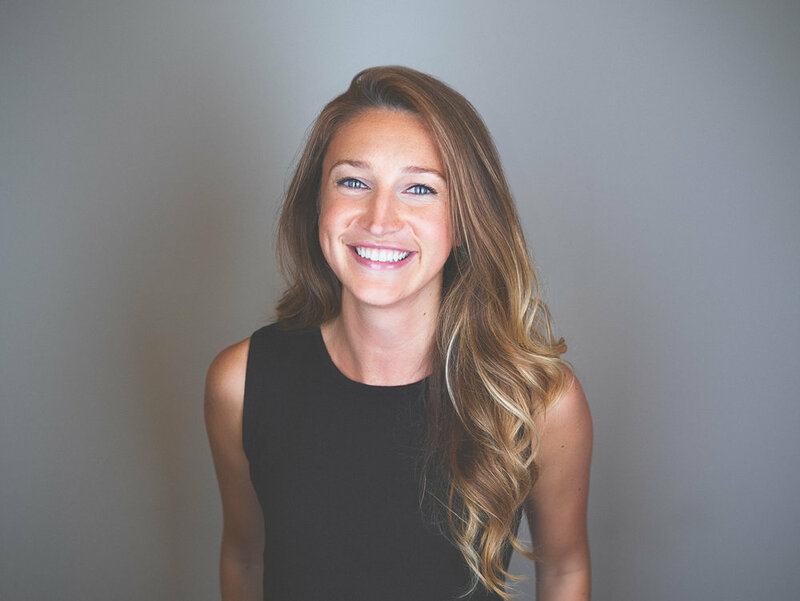 As a Senior Recruiting Consultant at Gray Scalable, Katie is a member of our Business Recruiting team where she specializes in sourcing & hiring talent for both high volume and highly complex searches, and implementing scalable recruiting processes. Katie has spent her career building Sales, Marketing, Business Operations, HR/Recruiting and Customer Success teams for startups and growth stage companies. Prior to Gray Scalable, Katie played a key role in building Spotify's Global Ad Sales, Business Operations, Label Relations, Legal and Marketing teams. Earlier in her career, Katie worked in both campus & legal recruiting in Boston, and luckily, was able to escape Boston without becoming a Red Sox fan. Katie graduated with a B.A. in History from Union College. She lives in Northport, NY with her husband and two children. In her spare time, Katie enjoys cooking, baking, Orangetheory, spending time with her family and googling pictures of Sheepadoodles. Lori spent the beginning of her career working in the entertainment industry on both the production and representation sides. After working as a talent and literary manager for a few years, she transitioned her career into recruiting. She joined Google and quickly became a Recruitment Specialist for the Sales team. She recruited for a range of positions including Account Strategists, Account Managers and Account coordinators in Print, Retail, Healthcare, Tech B2B and Entertainment. She is thrilled to be working again with Charlie and Deb at Gray Scalable, where she will be helping source and recruit talent for our clients. Lori is a graduate of the University of Pennsylvania where she majored in Communications. She loves going to the movies and all things pop culture. She lives in Chappaqua with her husband Eric and two daughters Alyssa and Sami. There might be a golden retriever in their future but not quite yet. Angelica started her career in the publishing world, where she worked as an Editorial Assistant for Penguin Random House. After working mainly with celebrity driven books, Angelica moved on to work in Brand Partnerships at Creative Artists Agency, spending her time finding digital and diverse talent for various brand campaigns. At Gray Scalable, Angelica works with the sourcing team to help our recruiters find the best candidates for the our client companies as a Sourcing Consultant. Angelica holds a double major in both English and Communications from Florida State. She is a Miami native, although she currently resides in Astoria with her cat, named Cat. Angelica loves a great book and enjoys spending time seeing plays all over the city. As Gray Scalable's Sourcing and Operations consultant Rose specializes in candidate research and sourcing, meeting coordination, HR project support, and office management. She comes from e-commerce start-up Rent The Runway, where she assisted the executive team, managed office services, and organized cultural events for employees. Rose holds a BA in Psychology from Sacred Heart University. She currently resides in Hoboken, NJ, remaining loyal to her Jersey roots. She loves to cook, travel and go anywhere there is live music! 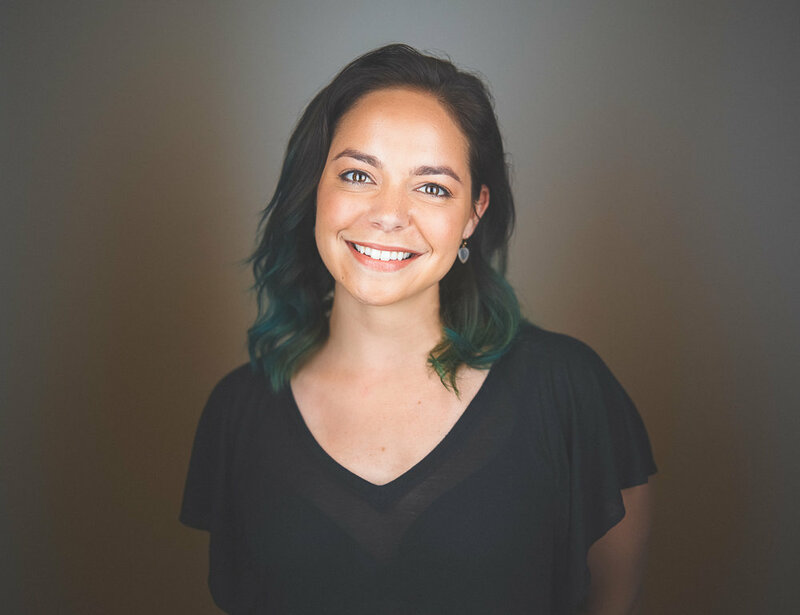 As a Recruiting Consultant at Gray Scalable, Sydney is a member of our Business Recruiting team, helping our clients source and hire top talent to meet their goals. Sydney started her career at SpaceX as an HR Coordinator, then transitioned into a Recruiting Coordinator and Technical Recruiter in her two and a half years with the company. 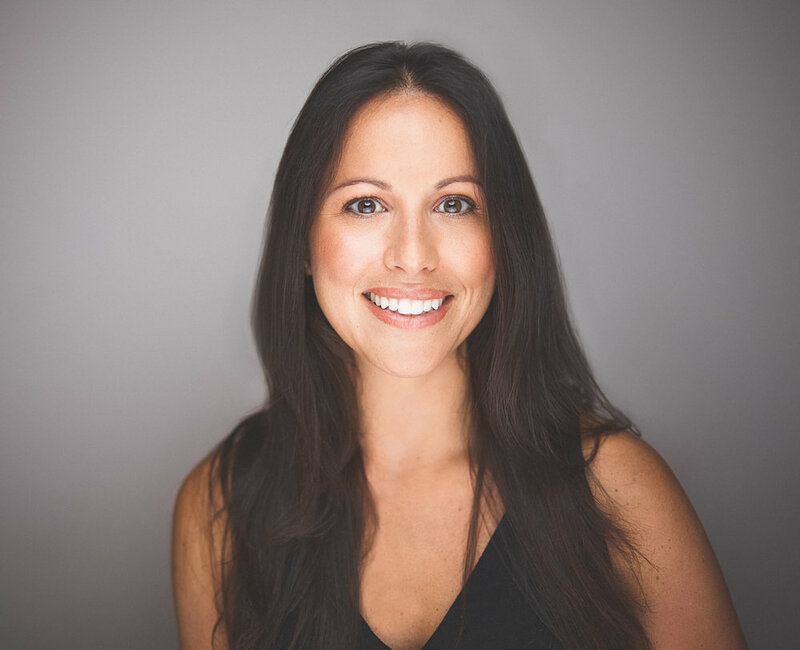 She joins Gray Scalable after more than four years at Snap Inc., where she was a Business Recruiter focused on hiring for teams globally from CA to Dubai, supporting Sales, Content, Events, and Ad Operations. Sydney also co-lead the New York chapter of Snap’s Women’s Employee Resource Group. Sydney holds a Bachelor’s Degree in Psychology from California State University, Long Beach. She is a California native and worked as a beach lifeguard for more than six years. Although she still loves the beach, NYC is her permanent home, and she currently lives in Brooklyn.